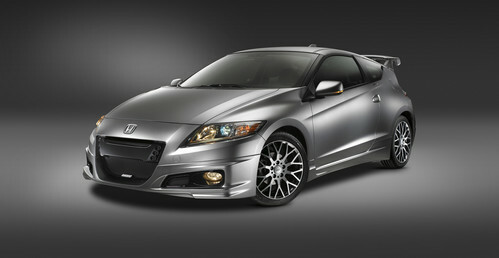 Consumers looking for the best hybrid coupes have to take several factors into consideration. First, of course, is how far you intend to drive on a regular basis. Second, do you have ready access to power regeneration (garage outlets to replenish the battery)? Third, how many people will you need to carry? Coupes, after all, are limited in passenger and cargo space. That said, however, there are a few best hybrid coupes to choose from –although you will have to wait for all but one of them. Reading between the lines – what automakers say they plan to bring out and rumored best hybrid coupes in the pipeline – here’s our best guess at what’s coming out in the near future. Lexus CT 200h – Luxury automaker Lexus is planning to introduce a luxury hybrid hatchback in 2011 – with a hybrid drivetrain similar to the HS 250h sedan. Media reports say the Lexus CT 200h looks somewhat like the Toyota FT-CH subcompact unveiled at the 2010 Detroit Auto Show. Anticipated fuel economy is a combined 42 miles per gallon. But prices are expected to be about $10,000 more than the Prius. Fiat 500 Hybrid – A two-seat subcompact hybrid version of the Fiat 500 will reportedly feature a Twin-Air 0.9-liter two-cylinder engine and 8-horsepower electric motor. Likely to be introduced in Europe first and the U.S. later, don’t expect to see the Fiat 500 Hybrid here until the 2011-2012 timeframe. Toyota Supra Hybrid – Toyota, which has applied to trademark the Supra name in the U.S. again, may be revving up to introduce a 2-door hybrid sportscar to the U.S. sometime in 2012-2014. BMW i100 ActiveHybrid – Reportedly intended for a 2013 production, BMW is going forward with plans for a hybrid 2+2 seat sports coupe. The hybrid will feature a plug-in electric drivetrain with two electric motors attached to a three-cylinder diesel engine capable of 328 combined horsepower and a 0-60 mph time of 4.8 seconds. Will there be more hybrid coupes coming soon? Possibly. When there’s news to report, we’ll bring you up-to-speed on the best hybrid coupes.